BENIDORM, the long-running, award-winning ITV sitcom will air its final episode this week after TV bosses decided to axe it after a ten series run. Produced by Tiger Aspect the series features an ensemble cast of holidaymakers and staff at the Solana all-inclusive hotel in Benidorm on Spain’s Costa Blanca. 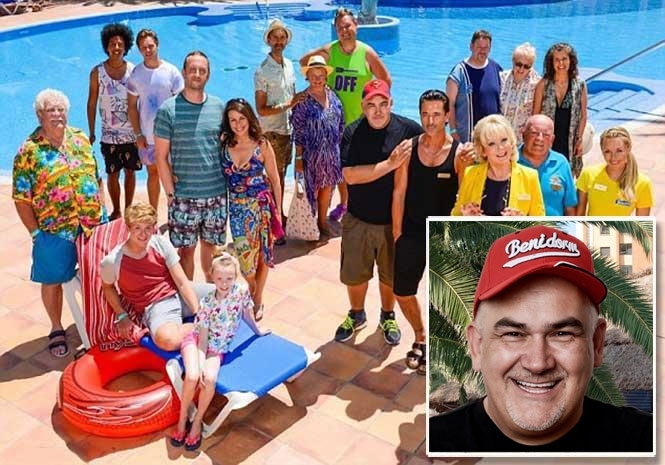 Last night (Sunday) show creator Derren Litten told his Twitter followers, “Crazy to think Wednesday will be the last episode of Benidorm! The Sun newspaper had claimed that Benidorm’s run was nearing its end and would be axed by ITV because of dwindling audience numbers. The same newspaper also claimed that Litten had already left the show and had signed a contract with the BBC to write a new sitcom, supposedly set in Scarborough, for them. They suggested the new series will centre around a similar group of characters to those in Benidorm, and be set in a karaoke bar in the seaside town. A TV source, quoted by the newspaper, said, “Benidorm has been a huge success for ITV for a decade, but bosses feel it’s run its course. Just over 4.3 million fans tuned in for the first show of series ten — a 400,000 drop on the previous year. So gutted this is the last… such a fab series … so funny! @DerrenLitten Sad to hear the news of Benidorm. All I can say is a HUGE thanks for 11 years of laughter. I’m going to miss it. Will just have to wait to see the Stage show in Southampton! well I will miss it but it was getting a bit same old .